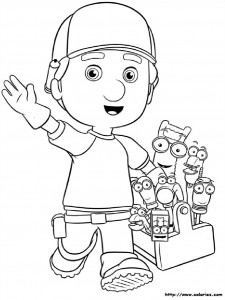 Handy Manny is an animated Disney serie, started in 2006. There are 91 episodes. The frame is the same every time : all starts in the workshop of the main character, where he and his tools are faced with a small problem. They come to solve through mutual aid and a dose of trick. 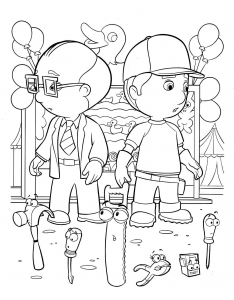 Here are some pictures of Many and tools for printing and coloring.